Taliah Waajid, an innovative brand in the world of natural hair care, is delighted to announce that Taliah Waajid Curly Curl “Gello” has won a prestigious 2018 Allure Best of Beauty Award for Best Styling Product in the Curl Definer, Fine/Medium Hair category. This is Taliah Waajid’s first Allure Best of Beauty Awards win. Held annually since 1996, the Allure Best of Beauty Awards are considered to be one of the most prominent awards in the health and beauty industry with their distinctive seal of approval bestowed upon deserving winners each year. From mass to prestige, classic to cutting-edge, the Allure editors research and test thousands of products to identify the best of its kind. Each year the winners represent the most advanced and efficacious products on the market today. Recognized for its highly effective curl performance capabilities and lightweight, flake-free formula, the Taliah Waajid Curly Curl “Gello” is a conditioning, hydrating gel that stops frizz. The Gello also adds moisture to define, shape and seal to all hair textures for a longer, stronger hold. Taliah Waajid is an innovative force in the natural hair movement. A hairstylist since a very young age, she created her eponymous company after realizing there weren’t widely available products for women who did not relax their hair. 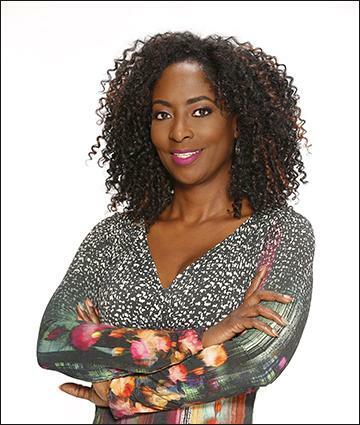 In 1996, she introduced Black Earth Products™, the first complete line of chemical free hair care products to address the needs of natural hair textures. Today, the Taliah Waajid brand includes seven collections, including Curls, Waves and Naturals, Green Apple and Aloe Nutrition Collection and Protective Styles. As she was building her brand, Taliah simultaneously founded the World Natural Hair and Healthy Lifestyle Event which grew out of her passion for natural, chemical-free hair care and healthy living. The show has gone from 25 exhibitors and 150 attendees twenty-one years ago, to over 200 exhibitors and 40,000 attendees from around the world.